I Filled Out The Form. What’s Next? By submitting your information, you are asking to get more information from a VA Approved Home Loan provider. They will contact you to go over your needs, determine your eligibility, let you know what you qualify for and discuss your options. There are absolutely no obligations, you are simply asking for more information. Once you have become pre-qualified your Loan Officer will work with you on determining your eligibility. To prove you are eligible, you will need to obtain your Certificate of Eligibility (COE), which you can get through the VA. To obtain your COE you will need to fill out the VA Form 26-1880 also available at the VA. This form asks for basic information, such as social security number, birth date, etc and only take a few minutes to fill out. Once you have determined your eligibility you mus then get pre-approved. Getting pre-approved will allow you to get your pre-approval letter which gives you a big advantage in the home buying marketplace. Realtors and Seller know that they are dealing with a motivated and qualified buyer. Once you have found a home and your offer is accepted your Loan Officer will schedule your Closing. At closing the last documents will be signed and you will be the proud new owner of home! The whole process may seem overwhelming at first but it isn’t that daunting at all. I have assisted hundreds of families with the purchase of their new home with a VA Loan. 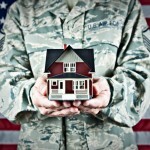 My advice to prospective VA Home buyers is to seek out a VA loan specialist. A VA Approved lender who know thes process inside and out. A VA Specialist will make the process very smooth for you as well as help to maximize your financial benefits.